Monday Morning Grin... You Can't Fix Stupid! 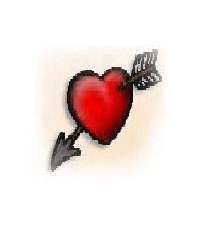 Find Love- Keep Love : Romance News : Fun & Games : Monday Morning Grin... You Can't Fix Stupid! As comedian Ron White often says, " You can't fix stupid." Competition has been keen this year for the annual "Stupid Awards". ran," accidentally jogged off a 100-foot high cliff during his daily run. looked on. He was pronounced dead at a nearby hospital. into the base of his skull as he hit the floor face-first. 1. His target was H&J Leather & Firearms; A gun shop specializing in handguns. 2. The shop was full of customers-- firearms customers. parked at the front door. and fired a few wild shots from his target pistol. customers who also drew their guns and fired. at least 10 men trooped along the walkway of the bridge at 4:30 AM. had brought rope for the bungee adventure. out for me on that night. There's just no other explanation for it." His severed foot was never found. an olive oil enema when the relieved beast finally unloaded on him.